PVC board, metallic screws, Attest stainless steel handle, wheels. 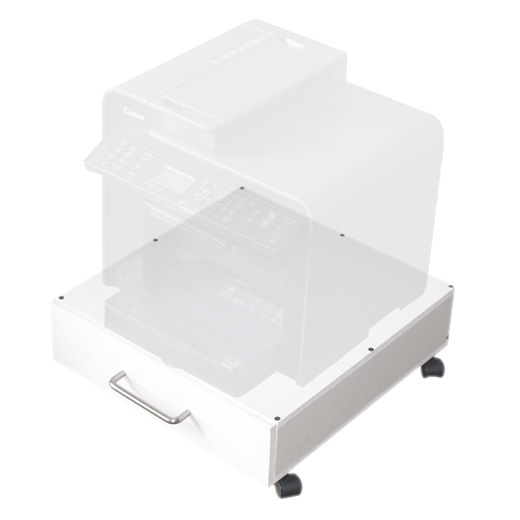 Blank-A is a rolling printer platform with drawer to keep blank paper handy and add mobility to the multifunction printer on top and facilitate access to the scanner. Made from a single 105 x 90 x 1 cm PVC board, all the assembly pieces are obtained with only 18 straight cuts. The pieces are joined using simple wood screws.